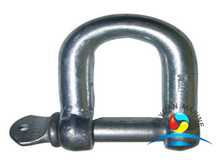 Shackles are one of the most used rigging fittings and are used to make connections to slings,rope,cable etc. 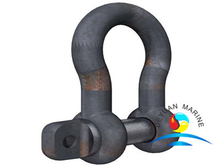 A shackle is a U-Shaped piece of metal secured with a clevis pin or bolt acrossing the opening,anchor shackle and chain shackle are the two basic shapes of shackles,in the category of steel fittings,screw pin anchor, bolt type safey anchor and screw pin chain are the three basic types of rigging shackles. 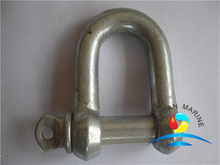 If categorized as per standard,we have US type shackles,JIS type shackles,European shackles,DIN shackles,BS3032 rigging shackles.As a protective coating, shackles are galvanized,can be hot dipped galvanized,electro galvanized. 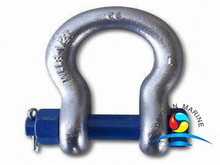 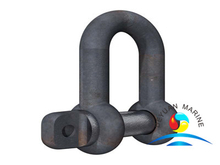 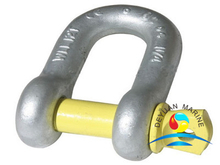 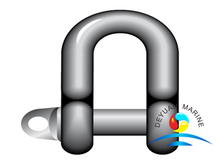 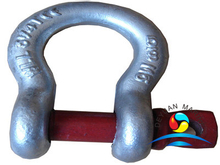 Available material of our shackles are carbon steel,high-tensile steel,alloy,stainless steel.If you are looking for any rigging shackles,pls feel free to contact deyuan marine.